Details: The project is coming up at Moshi, Pune spread over 0.82 acre of land. 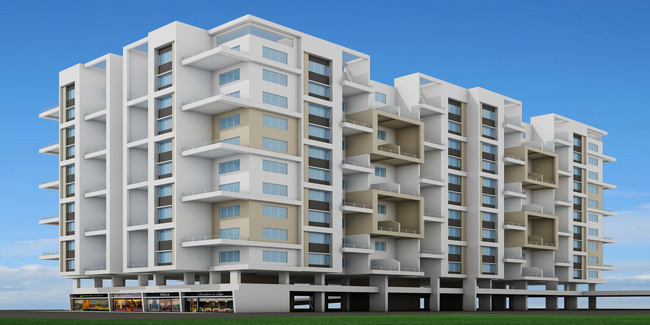 The project offers 1 tower with G+11 floors, having 116 units of 1 BHK apartments. Apart from the basic amenities, the project offers Entrance Lobby, Gated Community, Power Back up Lift, Video Door Security, Party Lawn, Garbage Disposal, Landscape Garden, Rain Water Harvesting, Party Lawn, etc. Pimple Saudagar, Pune - 411027, Maharashtra.